Bees are good! You can save the bees through many ways, from your little garden until purchasing local honey. Below are some helpful and easy hands-on guidelines for you. Create a bees-friendly garden with a mix of native and non-native flowering plants such as tropical fruit trees and garden herbs. Native plants support a variety of local insects while some non-native plants provide more pollen and nectar for bees all year long. 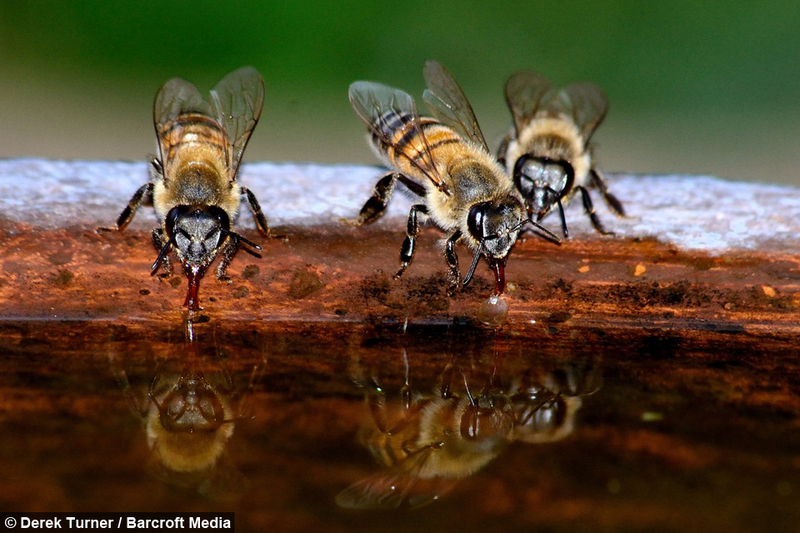 Bees depend on those plants for habitat, dietary resources and nesting material like resin to reinforce their nest. Local flowering herbs: wild mugwort/Asiatic wormwood, cat’s whiskers/misai kucing, basil (selasih), mint/pudina, asystasia, etc. Fruit plant:coconut, starfruit, durian, mango, watermelon, guava, passion fruits, etc. 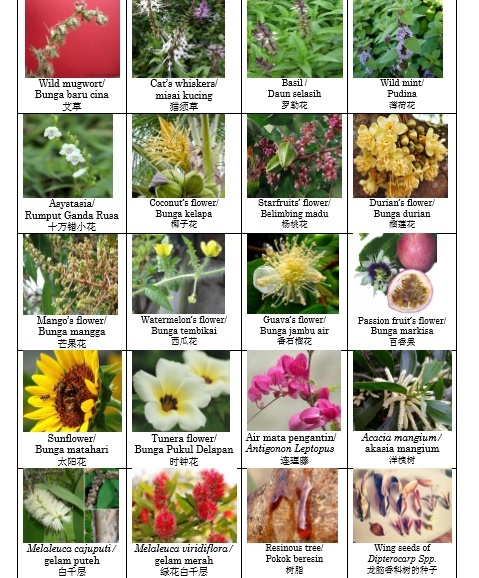 Ornamental plant: sunflower, turneria, air mata pengantin, etc. Non-native trees: Acacia mangium, Melaleuca cajuputi, Melaleuca viridiflora. Use biological control like lady bugs instead of pesticides. Avoid the use of pesticide in your garden. These chemicals bring harm to both your pollinators and garden visitors. Bee friendly! Bees are our good friends and will only sting when provoked. Don’t flap your hands when get intact of bees, keep calm and move slowly away from the colony, best into the shade or a tress. They will eventually lose interest. Support organic farming enterprises that use no pesticides in their farming practices. Purchase local honey from local beekeepers. It helps beekeepers to cover some cost of beekeeping and preserving our natural environment as well.